Below you'll find code examples written by both us and 3rd party developers which enable you to integrate the proxycheck.io API with your software and services. If you've written a publicly available implementation of the proxycheck.io API such as a code example, function, class or plugin please contact us and we'll be happy to include it below. You can find ready to use plugins on our plugins page. If you don't want to use the Composer library at all and instead would prefer a basic function we have provided that here on our GitHub page. Below is the install command for our composer library. You can find the instructions for using the library here on GitHub. Below is an example calling the library and retrieving the result of the query into an array. // Input your options for this query including your optional API Key and query flags. 'API_KEY' => '######-######-######-######', // Your API Key. 'ASN_DATA' => 1, // Enable ASN data response. 'DAY_RESTRICTOR' => 7, // Restrict checking to proxies seen in the past # of days. 'VPN_DETECTION' => 1, // Check for both VPN's and Proxies instead of just Proxies. 'INF_ENGINE' => 1, // Enable or disable the real-time inference engine. 'TLS_SECURITY' => 0, // Enable or disable transport security (TLS). 'QUERY_TAGGING' => 1, // Enable or disable query tagging. 'CUSTOM_TAG' => '', // Specify a custom query tag instead of the default (Domain+Page). 'BLOCKED_COUNTRIES' => array('Wakanda', 'Mordor') // Specify an array of countries to be blocked. If you don't want to use composer you can instead install the library yourself manually from our github page here where you will also find the instructions for using the library. Accessing our API through curl either by commandline or within a language such as PHP is very easy. All our API responses are in JSON so you will need to parse those responses but you can call our API from curl with the command below. "provider": "GOOGLE - Google LLC, US"
Developer hollow87 has made available a nuget package for proxycheck.io at nuget.org available here thanks hollow87! - We've included some install commands for popular clients below for your convenience. Accessing the API with Node.js is very easy as shown by the code snippet below. Accessing the API with Python is very easy as shown by the code snippet below. 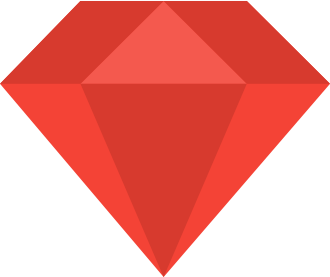 Jonathan has been kind enough to create a gem for utilising the proxycheck.io API and you can find it on the rubygems.org website here thanks jonathan! - We've included the gem install command below for your convenience. 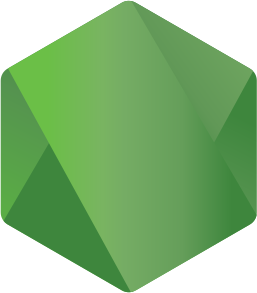 Below we've included a simple way to query the API with Ruby. Updated the C# code example from hollow87 which now includes v2 API support in its latest 2.0.0 release. Added a new Java tab which includes a new Java API from DefianceCoding. Moved around the position of our Basic PHP Function so it's more visible for users who just want to use that instead of our Composer library. Added composer install instructions to the PHP example code tab. Removed our basic PHP example and replaced it with a link to our PHP function. Most example code was updated to use the new v2 API and the CSS styling was updated. New examples were added for curl, Node.js, Python and Ruby, layouts were also updated. The page apperance was updated with a new tab view for the different examples, this is getting ready for a wider selection of examples coming soon. A C# example was also added. Three new minecraft plugins were added to the page. The PHP Example was updated to include our new query tagging feature. A better PHP example utilising functions and curl on GitHub was linked to from this page. Information about a 3rd party Minecraft plugin which uses our API was added to the page.